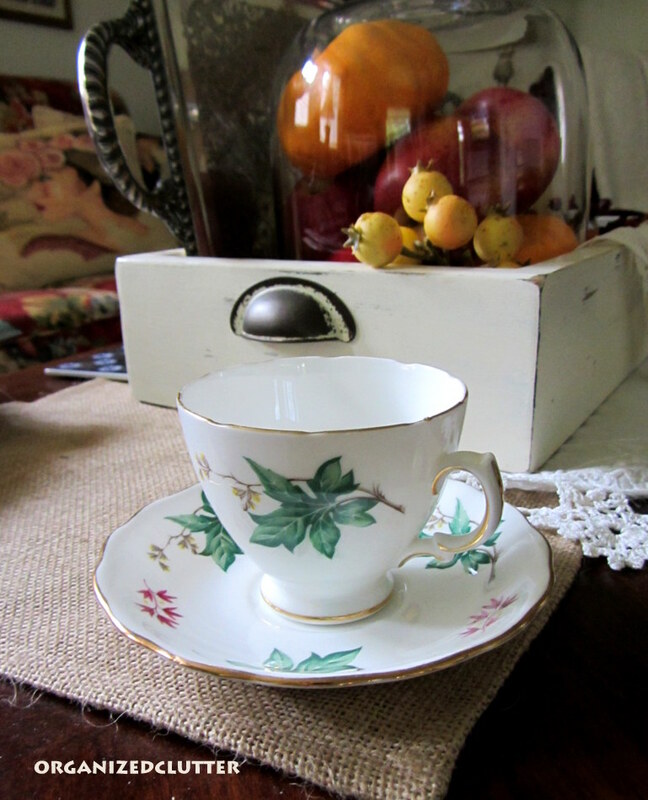 Today I am offering another Royal Vale teacup and saucer that I recently acquired for $4 at a local consignment shop. It is unusual for my collection (of mostly roses) with a predominant green leaf, some small burgundy blossoms and also very tiny yellow blossoms. The teacup and saucer also have gold trim and very slight scallops. I think it fits in well in my living room of burgundies! Such a pretty cup and saucer. I love the scalloped edge. This is a very pretty cup!! Good find for your collection. It feels a little Christmasy. The colors are just right to give the set a truly classy feel. Nice pattern. I really like it. congratulations to that find. I like the pattern. Perfect for fall season. 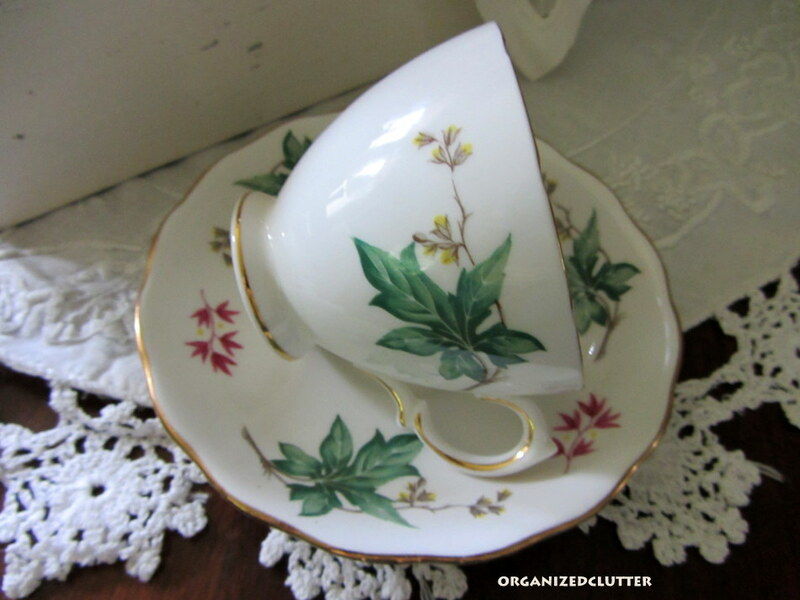 Unusual to see a teacup with leaves the predominant pattern but perfect as autumn approaches. That is a really unique and beautiful teacup! 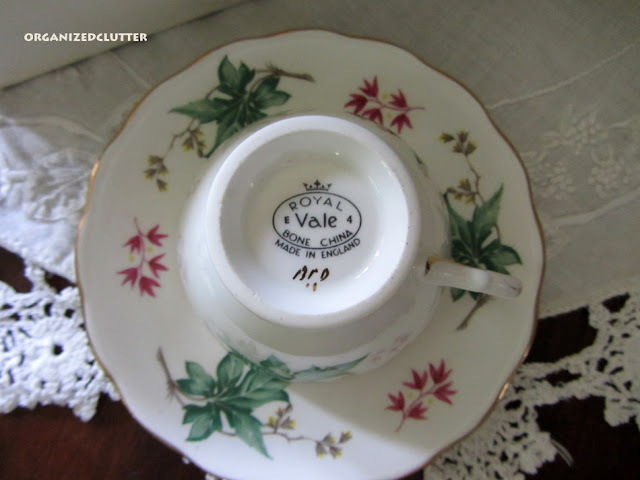 Your new Royal Vale teacup is lovely. It will fit in perfectly with any decor. Happy Tea Day! Lovely teacup and very nice photos. Congratulations for your fall vignette! 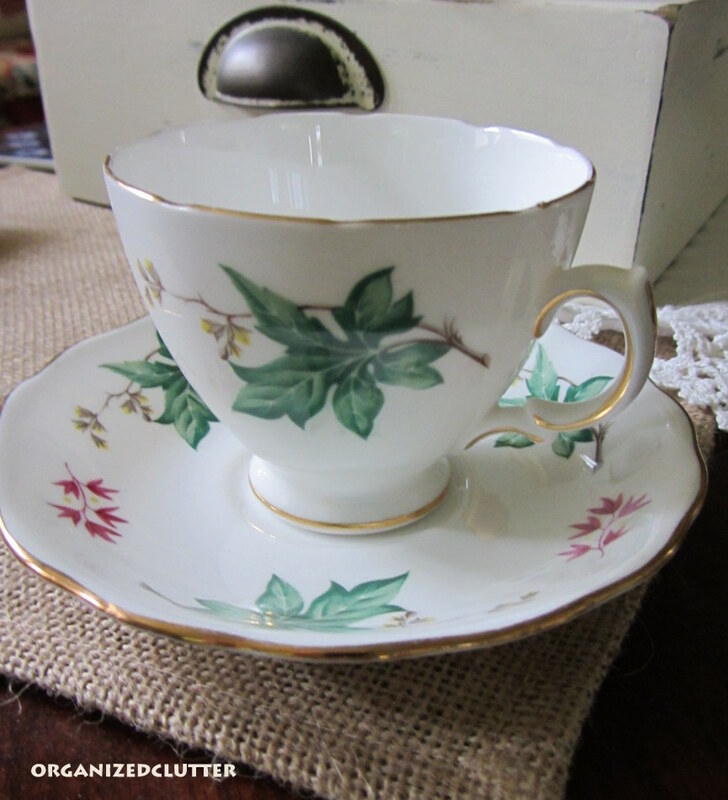 I really like your teacup; especially the green leaves! It is a lovely shape and thank you for sharing it with us. Have a wonderful week. Yes, I think it does go great with burgundies! Such a pretty teacup and perfect for autumn! This is a sweet little vintage Royal Vale! The coloring is fab, I love that shade of green on the leaves. The cup is perfect for fall too! Bargain!